Summer is on its way and in the Midwest that means we need to be ready for an abundance of heat, humidity and summertime pests. Is your home ready for the long summer months? If you are not sure, you may need to run through this maintenance checklist designed to help you get through the summer months in comfort. 1. Screen Check: On cooler days it may be tempting to open your windows and allow the cross breeze to cool your home. But with a mild winter: bugs, mosquitoes and tiny pests will be out in force and you will want to keep them outside where they belong. Take some time to inspect your window screens and storm door screens and make sure they are not damaged or have holes. 2. 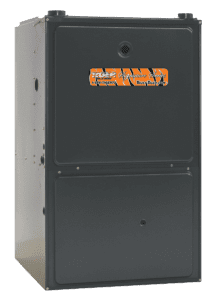 Replace Your F urnace Filter: It may seem odd to be worrying about your furnace ahead of summer time, but keep in mind that your AC system and your furnace work together. Depending on the type of filter you have, you may need to clean and/or replace it monthly to ensure that your heating and cooling equipment are functioning properly. 3. Look for Leaks: Inspect all outdoor hoses for damages and leaks. This task is especially important if your hose was exposed to the winter elements. 4. Venture Up to the Attic: You should inspect your attic at least once or twice a year and before summer hits is a good time to explore this space. You are looking for any signs of damage caused by winter weather or spring time storms. Leaks are your main concern because a little water damage can go a long way in the form of mold and mildew growth in your home. Additionally, leaks in your attic will eventually make their way down and come through your ceiling. First check out your attic when it is raining and see if you can see any signs of leaks. Then when the sun finally comes back out, head back up to your attic and turn off all the lights and see if you can see the light shining through anywhere it is not supposed to. While you are up in your attic be on the lookout for signs of pests or insects turning your home into theirs. 5. Explore Your Basement: After you are done inspecting your attic, head downstairs and check for signs of leaks, pests, insects or mold growth. Basements tend to be the darkest, dampest and coolest place in your house, making it the perfect home for mold and insects to invade. Also be on the lookout for cracks and other signs of damage in your basement walls and/or foundation. 6. Battery Tests: This is the perfect time to test the batteries in your Smoke and Carbon Monoxide Detectors. Remember safety first! 7. Make Sure Your AC Can Take the Pressure: Before the temperatures climb much higher, it is best to have one of our Heating and Cooling Experts inspect and tune-up your Air Conditioning equipment. The last thing you want to do on a hot summer day is to turn on your AC for some much needed relief, only to discover it does not work! Beat the rush and call 866-844-3770. 8. Dust Your Fans: Prevent dust from flying off of your fan blades and take a few moments to dust your ceiling fans. 9. Avoid a Shockin g Surprise: Turn to one of our Certified Electricians to inspect your outdoor electrical outlets and light fixtures. Having your outlet electrical wiring inspected once a year is vital to your home’s safety. Wires can become frayed or damaged over time by the elements and wildlife. 10. Keep the Air Flowing: Clean and dust the air vents in your home. When vents become dirty and dusty, the air from your air conditioner cannot flow as easily, causing your cooling equipment to work harder, costing you more money on your power bill and shortening the life of your AC Unit. Plus, the dust on vents are blown into the air you breathe when you turn on your air conditioner. 11. Gutter Check: If you skipped cleaning your gutters during your spring cleaning, then it is time to grab a ladder and take care of this unpleasant task ASAP. Clogged gutters can cause a lot of expensive damage to your roof and foundation. 12. Get Your Ducts in a Row: Dirty air ducts lead to several serious issues to your home and health. When you turn on your heating or cooling equipment the air is pushed through your duct work and all of the dirt, dust, allergens, dander and other tiny particles are released into the air you and your family breathe; lowering the air quality in your home and leading to health issues and concerns. Additionally, dirty duct work will damage your AC and furnace equipment, leading to costly repairs and early replacements needed. Memorial Day marks the unofficial beginning of summer, but the rainy spring weather isn’t ready to let go just yet. There is a lot of rain in the forecast this week and we are all crossing our fingers, hoping that the weather improves before the big holiday weekend. Unfortunately, along with the heavy rain falls, the temperature and humidity levels are also on the rise this week. One thing is clear as we head into Memorial Day weekend; the weather is not on our side. Don’t panic just yet! Here are some steps you can take to help prevent the extreme weather from ruining your holiday weekend. Sump pumps are designed to help prevent basement flooding, especially during periods of constant and heavy rainfall. The protection offered by sump pumps is especially important in finished basements with recreation rooms, home offices, bedrooms or rooms storing electronics or valuables. Like all other vital equipment in your home, your sump pump needs regular maintenance to ensure everything is functioning properly and so you can avoid a major disaster. We’ll be happy to inspect and evaluate your sump pump needs, to give you peace of mind. With the heat rising and the rain falling, dealing with humidity this week is not going to be pleasant. To help you get through this muggy week, try out a few of these easy humidity-busting tricks. Turn on your exhaust fans when bathing, doing laundry or cooking. Cover pots as much as possible when cooking. Use portable fans to improve airflow in stuffy rooms. Take cooler and shorter showers. Make sure all windows and doors are shut tight and that air isn’t able to leak through them. Turn on your air conditioning to improve air flow and lower your home’s temperature. Many people have been holding off on turning on their air conditioners, but the weather this week may mean it’s finally time to flip on that AC. The temperatures will be in the 80’s and the rain and humidity will mean that your windows will need to be closed. You’ll likely need to turn on your air conditioner for some much-needed relief but will your AC be up for the challenge? Air conditioning units require yearly maintenance and inspections to keep them running properly. Call on our expert technicians here at Team Tiger to make sure that your AC can handle the heat. Power outages are always a real concern during stormy weather. Having a Whole-Home Standby Generator installed will help you keep the lights on and your AC running during even the most severe weather. A generator is not only useful during stormy spring and summer weather, but it can also come in handy during the winter months if a blizzard blows in. Like your sump pump and AC, generators require yearly maintenance. So if you already have a generator for your home, make sure to have one of our Certified Electricians come out and ensure everything is running properly and safely this season. May has arrived! Meaning two things; one, spring is in full bloom and two, it is National Electrical Safety Month! Everyone knows that electricity can be dangerous but you can remove some of that danger by following these electrical safety tips! Don’t run cords under carpets. They can overheat and you cannot see if a cord has become damaged; shock or fire can result. Don’t unplug appliances by pulling on the cord. Grip from the plug and pull to prevent damage to and potential exposure of wires. Water and electricity are a deadly combination. Keep electrical wires and appliances away from water. Use GFCI protected outlets when using appliances or tools near water. Always unplug or disconnect power when working on light fixtures or appliances. Never put your finger in a light bulb socket. Disconnect power before attempting to remove a broken bulb. Head inside a car or building when you see lightning. Avoid wide open spaces and tall trees since lightning is attracted to the tallest object in a given area. Get out of the water if swimming outside when it’s lightning. In homes with small children, unused wall sockets and extension cord receptacles should have plastic safety covers. When possible, avoid the use of “cube taps” and other devices that allow the connection of multiple appliances into a single receptacle. What’s That Smell? It Might be Coming from Your Drain! A smelly drain is unpleasant and getting rid of the odor can be really difficult. Whether it is your kitchen sink, bathroom vanity or even your shower, a smelly drain can really ruin your day. Over time dirt, food, bacteria, grease, hair, etc. build up in your drains and this is what causes those lovely odors. The bad news is that ignoring these smells will not make them go away, the good news is that there are easy and affordable steps you can take to clean and deodorize your drains. Simply pour a half cup of baking soda and 1/4 of a cup of salt down your drain. Then heat one cup of white vinegar on your stove. After the vinegar begins to steam, pour it down the drain. The mixture will bubble and foam for a bit. Wait about 15 to 20 minutes then run hot water from your faucet for about 30 seconds or so, to wash away the mixture. Your drain should be cleaner and the displeasing odors should be gone! This method involves boil ing water, so please be careful. Start by pouring a cup of boiling water down the drain. Give it five minutes and then pour a cup of cold water down the drain. Wait another five minutes and then pour down another cup of boiling water. If there happens to be a lot of built up of debris in your drains, you might experience minor clogging during the flushing process. So make sure you have a plunger handy, just to be on the safe side. Cut up lemon slices (make sure you remove any seeds) then run them through your garbage disposal. This will help your drain smell fresh and like citrus! If you’ve tried all of these methods and your drains still stink, the smell might be a sign of a more serious issue. Give us a call at 866-844-3770 and let the members of our professional plumbing team get to the bottom of the odors coming from your drain.